The search giant is pressing ahead with its plans despite growing legal pressure from publishers and authors. They object to what they say are violations of copyright. But in an apparent attempt to reassure critics, the search giant said on its blog that it would focus on books that were out of print or in the public domain. It is also digitising out-of-copyright books from the UK's Oxford University. But Google has been criticised for not getting explicit permission from the copyright holders before scanning the texts. Has Google got a roadmap? The controversy led Google to put its library project on hold in August. The pause is designed to allow publishers to tell Google which books should not be included in the scanning programme. But the delay did little to assuage concerns. In mid-October, the Association of American Publishers, which includes firms such as Penguin, filed a suit in New York claiming Google is breaching copyright. In a separate action, the Authors Guild has filed a class-action suit against Google for copyright infringement. 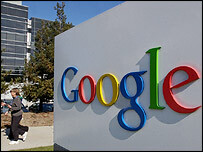 Despite the pending legal action, Google is pressing ahead with its plans. On its blog, the company said it was resuming the scanning of texts, but also offered some words of reassurance. "As always, the focus of our library effort is on scanning books that are unique to libraries including many public domain books, orphaned works and out-of-print titles," said the blog. "We're starting with library stacks that mostly contain older and out-of-circulation books, but also some newer books. "These older books are the ones most inaccessible to users, and make up the vast majority of books - a conservative estimate would be 80%." "Our digital card catalog will let people discover these books through Google search, see their bibliographic information, view short snippets related to their queries (never the full text), and offer them links to places where they can buy the book or find it in a local library." However, Google still plans to scan newer books that are both in print and under copyright protection at a later date. A rival body set up by a group of digital archivists, backed by technology giants Yahoo and Microsoft, as well as libraries and academia, is also pursuing its own digital library project. The Open Content Alliance (OCA), set up by the Internet Archive, aims to put 150,000 works online. But it is avoiding some of the problems facing Google by initially focusing on works that are in the public domain. Against this background, Google has hired an experienced lawyer as its vice president of global communications and public affairs. Elliot Schrage, a senior fellow at the Council on Foreign Relations in New York, is known as an international policy activist. "Elliot Schrage's experience and demonstrated commitment to transparency and global corporate citizenship will be an asset to Google as we continue to grow and explore new opportunities around the world," said Google chief executive officer Eric Schmidt in a statement.